PRAYER GROUP The prayer group will meet in the small hall at 10.00am on Wednesday 21st. All are welcome to come and join us. LADIES BIBLE STUDY The group have begun their study in the book of Hebrews. We will continue with the first chapter entitled “Starting the Race” from the LifeBuilder Series. There are still some study guides available and plenty of room for more ladies to come along to study God’s word for today. Love to see you there. The Ladies meet on Wednesday 21st September in the Church hall at 1.30pm for approximately an hour. PASTORAL CARE The Team would love to help you. Ask either your elder or the coordinator, Janette Steele (01349 861591) and we will try our very best to be of assistance. Do allow time to make arrangements if you need to be taken to appointments. HARVEST THANKSGIVING Next Sunday, 25th September, we will have a family service to celebrate Harvest Thanksgiving. Anyone wishing to donate harvest gifts for the Blythswood Highland Food bank can do so at morning worship that day. Immediately after that service if a few people could stay behind for a few moments to put these into boxes for collection by Blythswood, that would be greatly appreciated. Volunteers are required to help with decoration of the Church for Harvest Thanksgiving. The Church will be open on Saturday 24th from 10 am to 11 am for any donations of flowers or baskets. If you can help in any way please contact Pat Gillanders on 01349 861618 or Isabel Macdonald on 01349 861767. HIGHLAND FOODBANK Harvest thanksgiving donations are going to this worthy cause. Remember that perishable goods cannot be accepted and all donations should be within the sell-by date. There is a basket in the annexe for any donations throughout the year. KIRK SESSION The Kirk Session will meet on Thursday 22nd September at 7.00pm in the Church hall. Copies of minutes and agendas are available from today and those electing to receive them via email should have them by now. AMENITIES ASSOCIATION Use it or lose it! The future of the Conon Playing field. Hear more at the annual general meeting of the Conon Bridge Amenities Association at Ben Wyvis Primary School on Tuesday 20th September at 7.30 p.m.
PROSPECTS GROUP DINGWALL Prospects, one of the Guild projects, is having a bric-a-brac, baking and bookstall on Saturday 24th September outside the cross at 10 am. CHURCH FINANCES Payments for the month of August exceeded income by £862.49. The deficit for the year to the end of August is £8,391.72, however it is hoped that the Gift Day donations will go some way to cover this overspend. NATIONAL PRAYER WEEKEND As part of this UK wide initiative, the Church will be holding a Day of Prayer and Reflection on Friday 23rd September. As in past years, the Church will be open from 10am until 4pm for anyone to come and pray either individually or as a small group during that time. There will be information about some of the issues of today and also an area for thanksgiving. We hope you will come along even for a short time and will spread the news to friends and family. We can offer a cup of tea or coffee served in the vestibule. Please come along and take time to withdraw and pray. SCOTTISH NORTHERN CONVENTION The Scottish Northern Convention will run from the 25th to 29th September in Castle Street Church Dingwall. 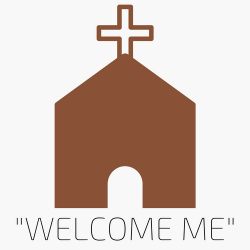 The opening meeting will be at 8.00pm on the 25th, thereafter there will be daily meetings for Prayer, Bible readings and Worship at 10.00am, 11.00am and 7.30pm each day, with Communion being celebrated on the Wednesday evening. Throughout the week a bookshop and mission stalls will be available. For more details visit the website http://www.northernconvention.co.uk or checkout Facebook each day for up to date comments. WORLD MISSION COUNCIL NEWSLETTER The latest newsletter, on the theme of harvest, is now available. Those who take “Life and Work” should have received one with their September copy. Extra copies are available on the table at the back of the Church for anyone interested. WORLD MISSION USED STAMP APPEAL Thanks to all who supported this appeal. A large amount of stamps (including several complete collections) was donated, the proceeds from which will go to this year’s project: the Church of South India’s Othara Eco-spirituality Centre. SUPPLIES FOR EKWENDENI HOSPITAL Many thanks for all the gloves and bandages donated over the past few weeks. If anyone still has items to donate, there will be a basket in the annexe until the end of September, after which the items will be packed up and sent to Ekwendeni via the Raven Trust. If anyone is still looking for bandages, which have proved more difficult to get hold of than had been anticipated, one person found a source on the internet, which she is happy to share: Health Store Online Ltd.
CARE FOR CREATION CONFERENCE The World Mission Council, together with the Church of Scotland Guild, Christian Aid and international partners, is organising a conference on care for creation in Scotland and across the world. this will take place in Bridge of Allan Parish Church on Saturday 1st October from 10am. registration is by e-mail: nskinner@churchofscotland.orgh.uk. If anyone is interested in attending and would like to share transport, please contact Janet Winchester. CROSSREACH CALENDARS There is a list at the back of the Church for anyone who’d like to order the beautiful CrossReach Calendar. The Calendar and the list will also be in the Hall after the service at coffee time. A catalogue is also available for those wishing to order cards and other Christmas items. Help the work of CrossReach and the Social Care work of our Church.